By now you are aware that lasers have ultimately infiltrated the world of dentistry. This technology, once the centerpiece of futuristic and science fiction myths, has actually found numerous applications in medicine over the past three decades. Nowadays, it can bee see as an everyday reality in an increasing number of dental offices. In our office we use the Waterlase by BIOLASE. Developed into a streamlined machine and equipped with an efficient delivery system, it can be used to prepare cavities, sterilize root canals, treat periodontal pockets, trim gums, and assist in soft and hard tissue surgeries. It works by emitting pulses of laser energy, which excite the water molecules on the surface of the target tissue, making them break away in microscopic layers. This is termed “hydrokinetic energy” and since it does not involve heat and vibration, there is hardly any pain in most procedures. 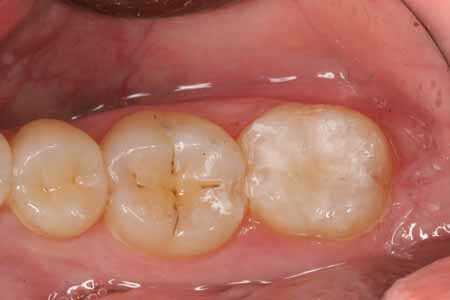 Preparing tooth cavities for placement of bonded fillings. 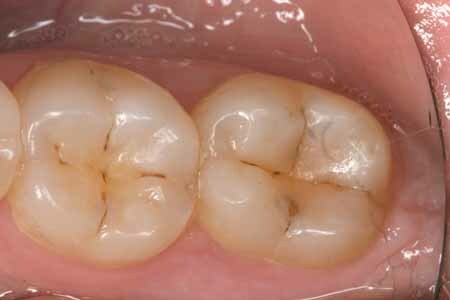 As the cavity is cleaned out, there is a simultaneous sterilization in effect, and a surface is created which produces a superior bond with bonding agents. Fissure sealants: Cleaning out the deep grooves, or “fissures”, on the chewing surfaces of teeth, prior to placing sealants. 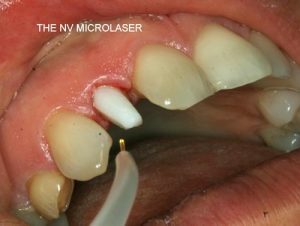 Preventing root canals in deeply decayed teeth: The laser will gently remove very deep decay in close proximity to the pulp, or the nerve, where infected tooth structure is removed non-traumatically with low power setting, thus preserving the vitality of the nerve and therefore greatly reducing chances of a root canal. Debriding and sterilizing root canals prior to placement of the filler material. 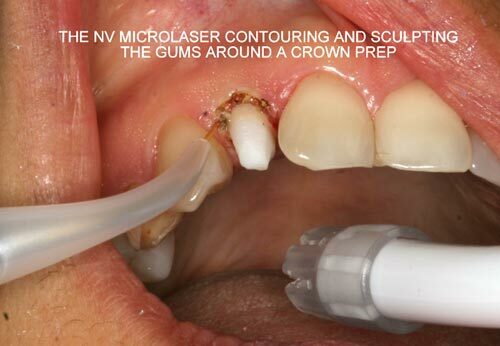 The laser beam unclogs the dentinal tubules and kills bacteria. Used in dental surgeries to trim root tips, remove small amounts of bone, and remove infected tissue or small tumors. 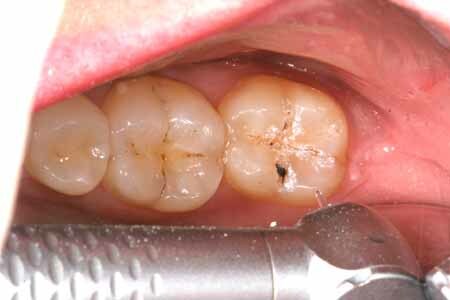 Treatment of gum disease: Pocket debridement and disinfection as part of a thorough gum treatment protocol following biological guidelines. Biostimulation: Used at low power setting, the laser will stimulate cellular regeneration, encourage microcirculation, and reduce inflammation. Anesthesia: Used at low power setting over skin or cut dentine, it induces a low-grade numbing effect. 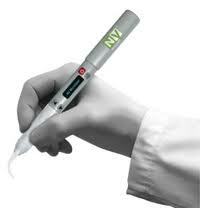 The new NV mini-laser in our office is a sleek, practical instrument reducing healing time by fifty percent. 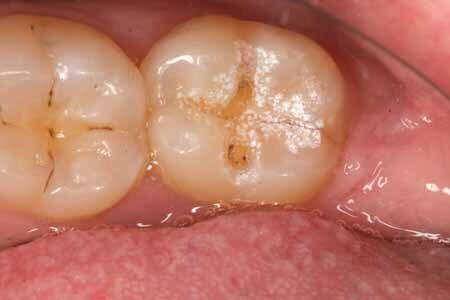 It is used for gum treatments, frenectomies, oral ulcers, and cold sores.